Losing Sherlock was the flame that lit the wick of the dynamite in John’s chest and losing Mary is what finally caused it to explode. The shrapnel of his heart left him filled with holes while other pieces simply lodged in his chest like bacterial infected shards of glass. Walking through daily life was a task he couldn’t perform anymore, a way he could no longer adapt to, even after adapting to so many things. War. Normal life. 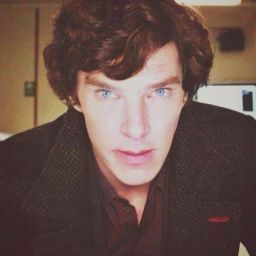 Sherlock. Married life. All of that had been easy compared to this. Life for everyone else went on like nothing had changed, and for everyone else, it hadn’t. The earth still turned; the sun still set in the evening and rose again in the morning; time still ticked on. But for John, the earth was still, drowning in some eternal darkness. Time was the only thing that still kept ticking, counting down the days until John finally decided to join Sherlock and Mary. That ticking was coming to an end. For a while, John had though it would be the guilt or the alcohol that did him in. Then maybe he figured the loneliness, but in the end, it was going to be himself, succumbing to the pressure of the three. John sat at the end of his bed in his brother’s guest room, his service gun resting heavily in his hand. It was cold, familiar, and the only solid thing grounding him. His hands were shaky, as of late they always were, but he closed his eyes and tried his best to breathe. This was the one shot he would take in his life that very well could save his soul, so he didn’t want to miss and end up a vegetable stuck forever in a never ending nightmare. Slowly, John raised the barrel to his temple and rested his finger on the trigger, mentally playing over all of his life, not really needing another reason to remember why he was doing this, but reminding himself anyways. He flashed through childhood and school years, the war, and before he knew it, John was meeting Sherlock. Solving cases and running around London like mad men. Then Mary’s sweet smile and the baby bump. Oh to be a father, the thought brought him so much bliss. In all of that, there was one thing John remembered. It was that he was a fighting man, but as a fighting man, one had to pick and choose his battles. One could not win them all. With Sherlock painted on the back of one eyelid standing prouder than a king in his castle and Mary smiling sweeter than the Mona Lisa on the other, John’s hands steadied. They steadied like they had a mind of their own, as if they knew they were doing the right thing. A bright burst of orange exploded through the darkness of his eyelids, and for a moment, fear struck John. Had his brother come home early from a night of drinking? He prayed not in that slow moving moment because drunk or sober his brother coming home wouldn’t lead to anything any better then what was going to happen. But perhaps he was wrong; perhaps it was the angel of death coming to him to finally answer his prayers. “Put the gun down, John,” a voice boomed like a drum, echoing through the empty house. “Everything is going to be okay,” he added more slowly, in the same deep voice. There was a tightening in John’s chest as the infected glass of his heart dug itself deeper, spreading the dread and misery coursing through him like a cancer. He opened his eyes to see the image of the very man who began this all, the man who began playing with John’s heartstrings the way he played the damn violin. “Go away,” John pleaded, his hands beginning to tremble. “I can’t, John. 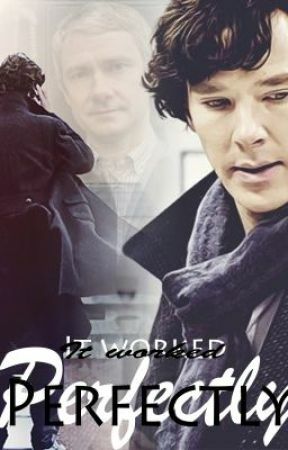 Not when you need me,” Sherlock replied with his voice on the edge of steady and quivering. He stood tall, straight backed, dressed in a black suit. How fitting, he looked ready for a funeral.